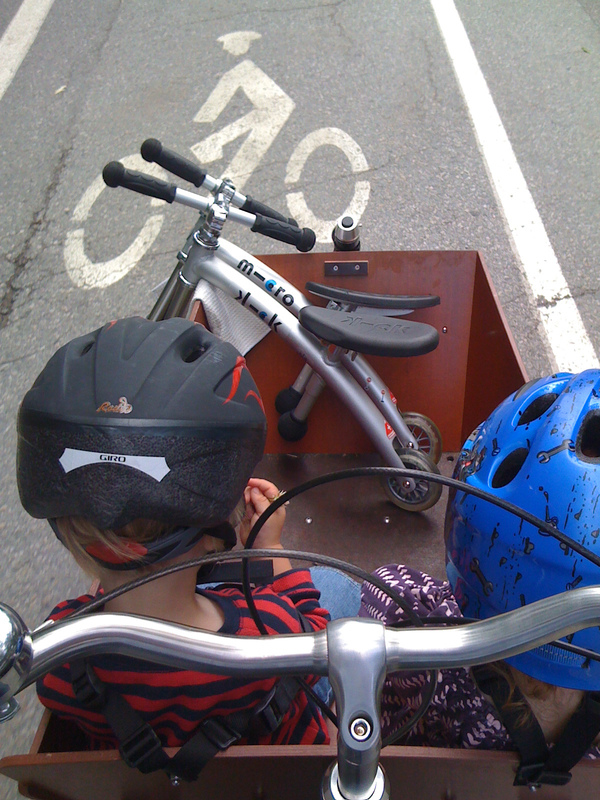 When we showed up at the farmer’s market with bikes in the bike, a friend said the bakfiets was like a mothership now. If it were a star destroyer, that would make our kids storm troopers, which sounds about right. They have poor aim and fire indiscriminately. 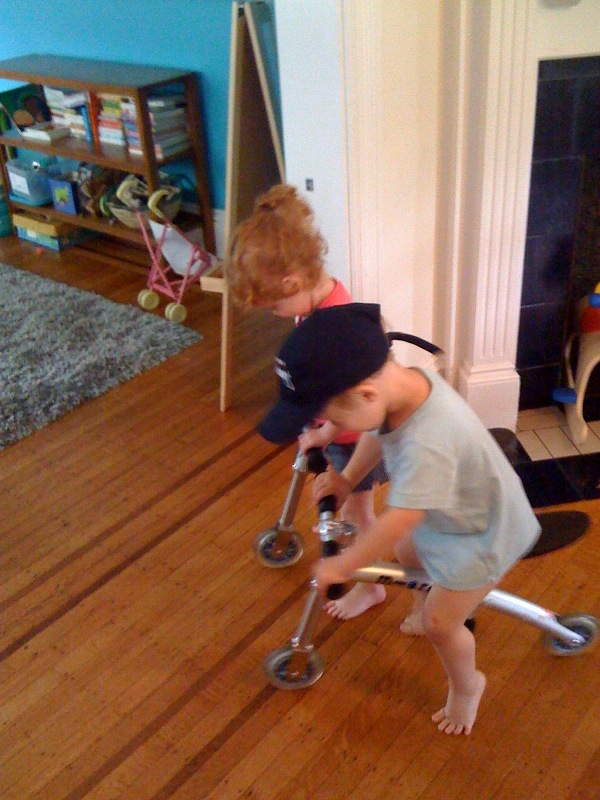 The balance bikes at the market were the first time they actually wanted to ride them outside, after taking them out a dozen times over the past few months. 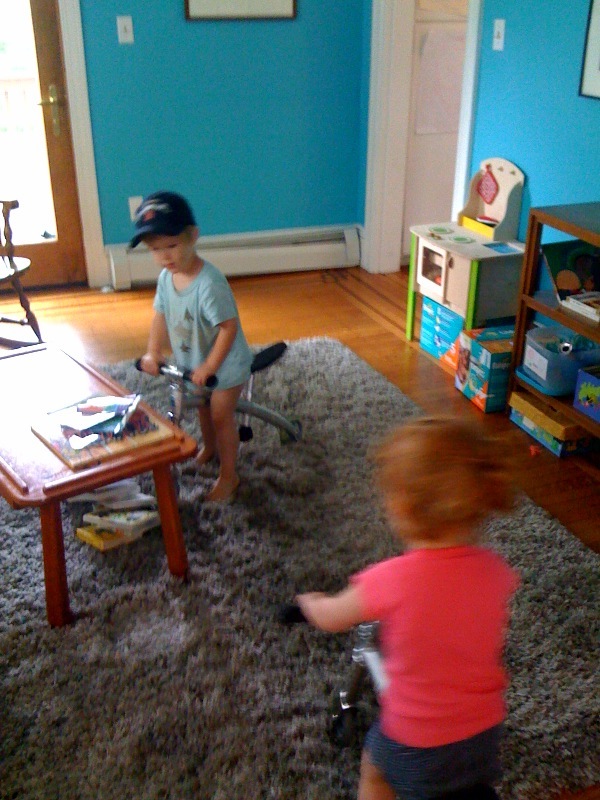 The irony here is we’d take them to the cemetery, with miles of empty paved roads and they wouldn’t ride. Instead, they took the grass in the middle of a crowded market. It was brilliant because they were slowed enough that I could walk normally and they were right along with me. The people didn’t faze them. They weaved around like they’d always been doing it. Which was a surprise to me—I didn’t expect that the two months of tooling around the house in our tiny rooms had trained them enough to take to a crowd like that.